Learn the nutrition & training secrets to fat loss and get the body you've been dreaming about. The Strong & Lean Challenge helps to hold me accountable for what I'm putting in my body. I would be letting myself down by not giving this 100%! The program is well laid out and easy to follow with just a little work and planning. What do you have to lose by trying it! After just 2 weeks, my clothes are fitting better, and I can wear my wedding ring again! I am happier, feel stronger and have more energy than before I started the Strong & Lean Challenge! I have been fit my whole life but have been struggling getting back that fitness after a few life-changing events. 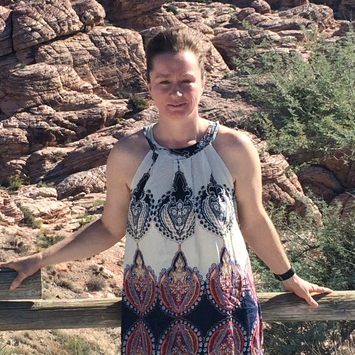 Heather and FITaspire gave me the push that I needed. It is a great community of like-minded people with the same ultimate goal, led by an incredible leader who works hard at keeping us on track and focused. I would highly recommend this program! Personalized nutrition plan, designed specifically for you. 5 workouts per week - all completed in less than an hour! Access to the FITaspire app (see image on right) to guide you through each workout, including video demonstrations. Strong & Lean Cookbook ($29.99 value) with recipes to get started. 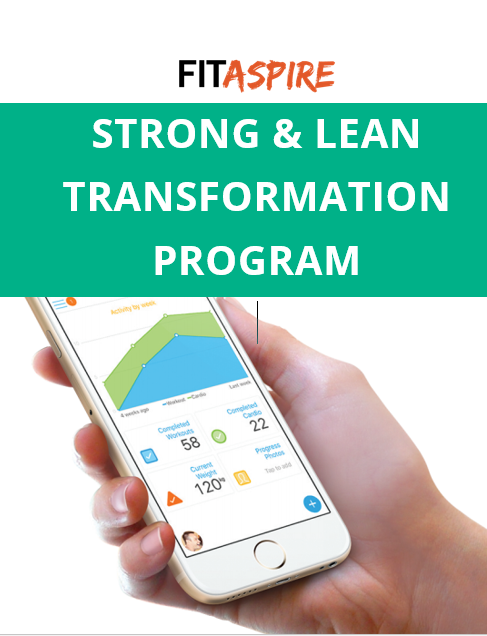 The FITaspire App makes training & nutrition simple! I am a certified personal trainer & nutrition coach,who is passionate about helping you transform your life to have the energy and confidence to fully live life! I work with clients around the world with online coaching programs for both fat loss & endurance training (running & traithlon). My goal is to help you learn to make your health a priority, with nutrition & training strategies that fit into your life. Here's how the program works. I will create a custom nutrition plan for you, based on your answers to a detailed questionnaire. Your plan will take into consideration your current nutritional habits and preferences, to make sure it's a plan you can actually follow AND will get results! Every 2 weeks, we'll evaluate your progress and adjust your plan, as needed. On the training side of things, you'll start by choosing gym or home workouts. 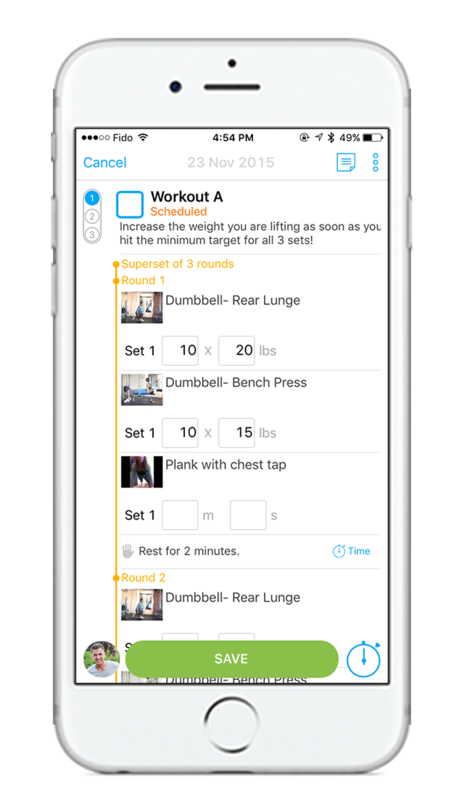 Your workouts will them be loaded onto your personal calendar within the FITaspire app, which makes accessing your workouts simple & convenient right on your phone. You'll also find video demonstrations of every exercise, so that you feel confident in completing each workout. Finally, you will get access to a private Facebook group, exclusive for members of the Strong & Lean Transformation Challenge. This is a safe place to share your updates, questions, and progress throughout the program. It's also the place you will check-in each day for challenges, motivation, recipes, tips, and questions. I will personally be in the group daily to support you every step of the way! I have never done a nutrition and workout challenge before so I wasn't exactly sure what to expect. I am absolutely loving this program! After just 3 weeks, I have lost weight and inches -- but more importantly, I have gained confidence, strength and I FEEL Great! !​I have more energy and look forward to my workouts (and being a bit sore at the end). 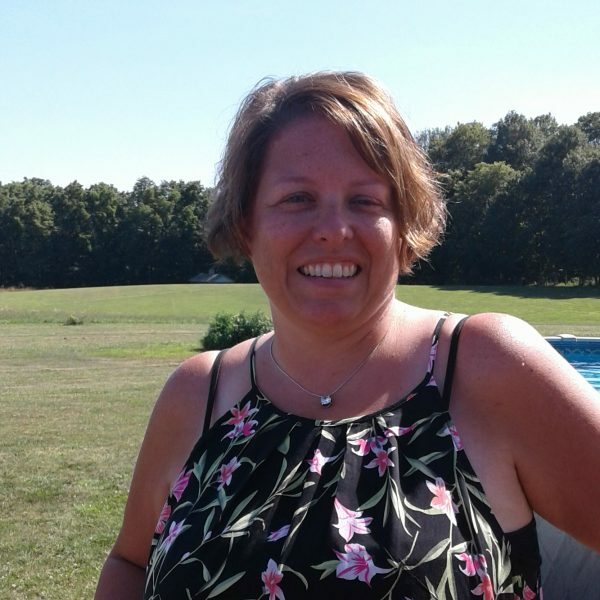 Heather is a great coach and the community support is a great bonus. I would highly recommend the Strong and Lean challenge! Nope! You can choose workouts designed for either the gym or at home - all you need are dumbbells, resistance bands, and (ideally) a stability ball. When you get started, you'll have the chance to tell me your preference and your workout style is up to you! One of the amazing benefits of online training is that you can live anywhere in the world! As long as you have internet access, I would love to have you join the program! The primary focus of this program will be nutrition, to help you get the best results. That means you don't need to spend hours in the gym each day, because abs really are made in the kitchen. With that said, you'll never spend more than an hour a day working out! So if your life if busy, you WILL be able to be successful on this program. What does the custom nutrition plan include? Each participant will complete a detailed questionnaire to help me create your nutrition plan. Depending on your starting point, the plan will be tailored to what you need to do to make progress more quickly, but also in a healthy way. We'll use your weight, measurements, and level of activity (outside of the workouts you also get with the challenge) to determine the right plan. Exactly what you eat based on your preferences is up to you - the plan will be a guide to help you with the best choices to reach your goals. I already "eat clean", why is this any different? Eating clean means something a little different to everyone. For most people, you are choosing food that are considered healthy - with minimal processed foods. While this is a good start, it doesn't take into account the amounts of protein, fat, and carbs (macros) that your are eating -- which has the biggest impact to your success. The nutrition guide will help you learn the amount of each that is best for you and how to simply track your portions to start making progress and get the results you are dreaming about! Do I have to track my macros on this program? Join the Strong & Lean Transformation Challenge!